Hello friends! I honestly cannot believe that my book is hitting shelves in exactly ONE MONTH FROM TODAY! I vividly remember the day I sold it to HarperCollins (way back when on October 1, 2015). So many months have come and gone since then, and it feels a little surreal to me now, that in 30 days TQR will be on shelves and available. I’m honestly just sitting here, humbled and excited and ready to share Brienna’s story with you all! 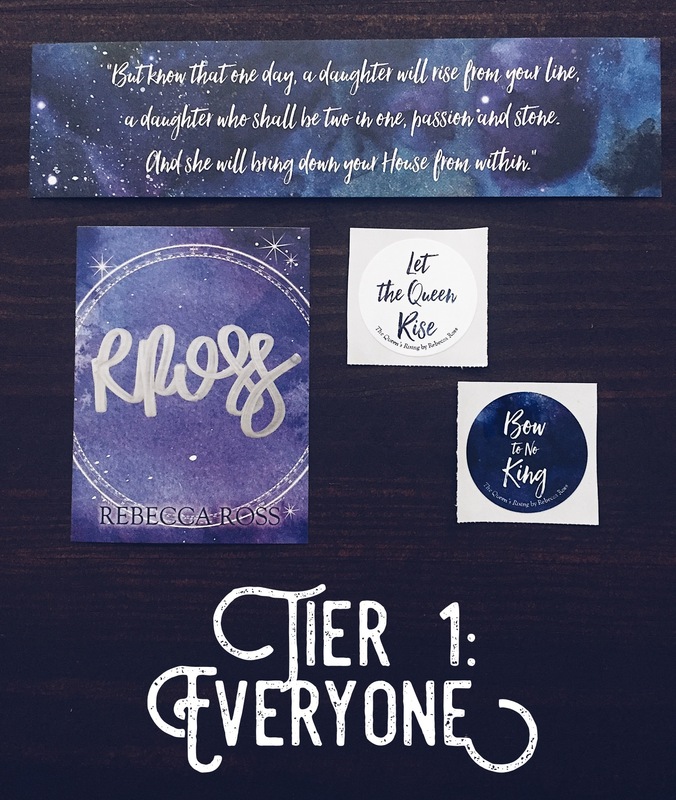 For close to a year now, I’ve been mulling over preorder campaign ideas, and I am thrilled to reveal my campaign with everyone today (if you signed up for my newsletter, you got an early sneak peek). This is my way as the author to thank you for preordering my book, because your support truly means the world to me and I want to give something back to you. 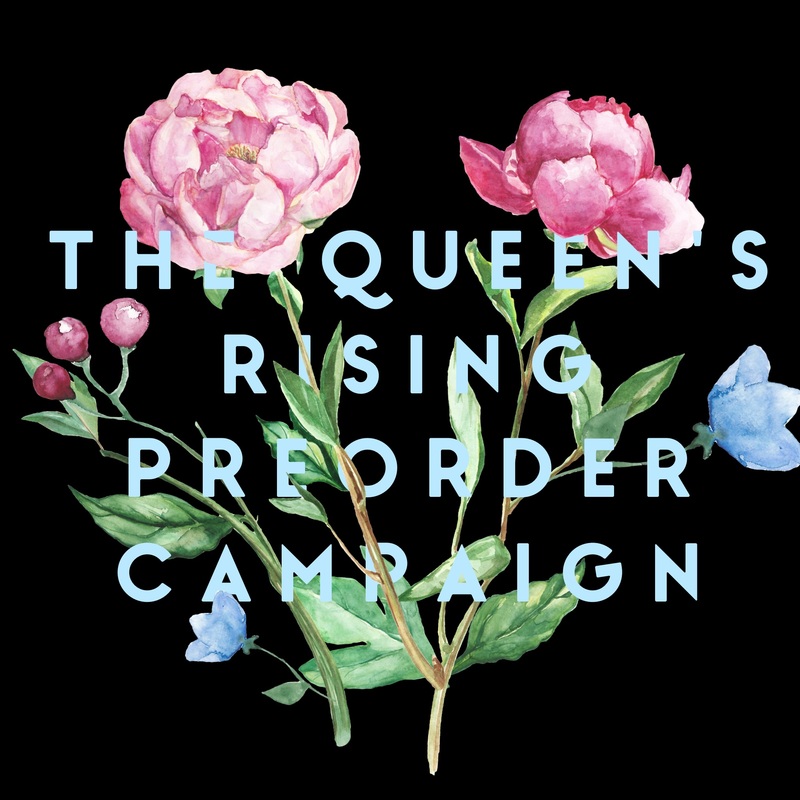 I have designed this campaign so everyone will receive something. But you are also entered in the drawing for two other bigger prizes. 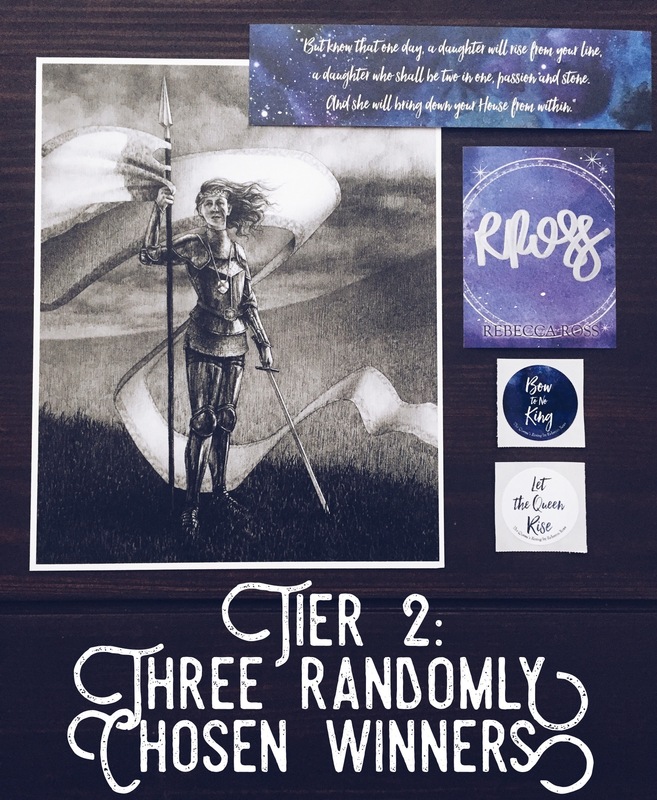 Three randomly chosen winners will receive a signed bookplate, a book mark, two stickers, and this beautiful artwork of the queen that I had commissioned by the amazing Jenna Kass. One randomly chosen grand prize winner will receive a signed bookplate, bookmark, two buttons, the art print of the queen, two custom candles made by Novelly Yours that tie into TQR, a starry notebook designed by Nikki Strange, a star card case from Anthropologie, and a constellation necklace made by Sea Salt Shop! 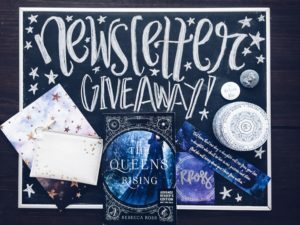 If you have preordered my book, or plan to before February 6, all you need to do is email me at rebeccarossauthor@gmail.com. 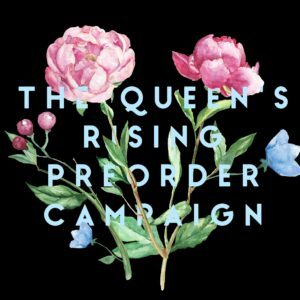 In the subject of the email, please put “Preorder for TQR” and then make sure you include your name and mailing address. Also, please upload a copy of your receipt for proof of purchase. This campaign is open to international readers! 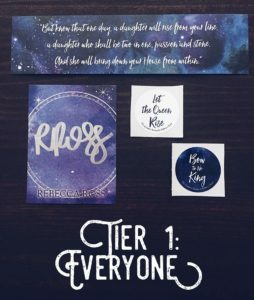 *I have a lot of swag, but Tier 1 is only while my supplies last. So make sure you sign up soon if you plan to participate in the campaign! Thank you again so much for your support! Here’s to 2018! I promise I will not spam your email (I’ll probably send a newsletter out once a month if not once every two months). 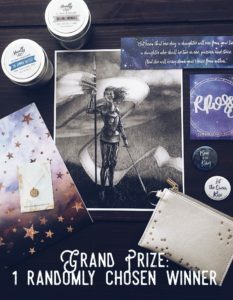 Note: This is an international giveaway! 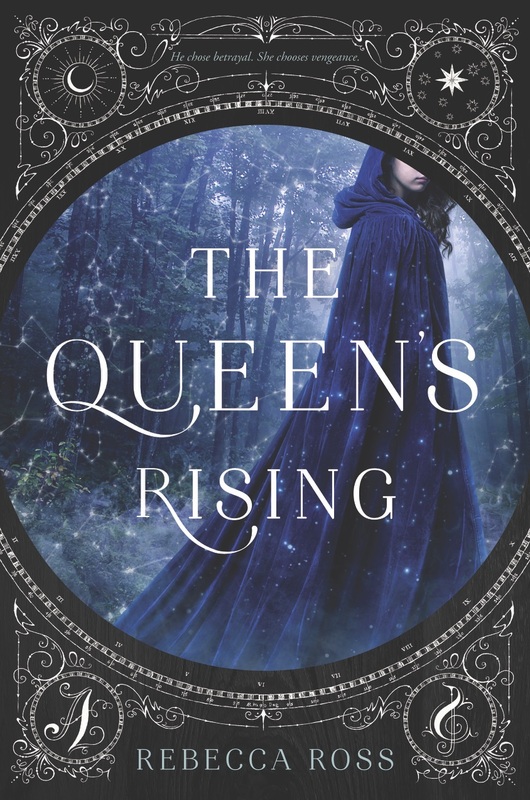 First of all, I am suuuuuuuper late in officially posting this on my website, but the final cover for THE QUEEN’S RISING has arrived! It was unveiled in June (which was, like, three months ago so forgive me), but I wanted to wait until the tagline was finalized before I posted it here. I have to gush and say that I am totally in love with the cover, and that I was blown away when Harper showed me the initial mock up months ago. One of my favorite elements is the constellation map they integrated (the circular design) and how the constellations overlay Brienna and her cloak and the wooded background. Also, the scroll work and passion imagery in the four corners of the cover is simply divine, and I totally cried happy someone-pinch-me-cause-I-can’t-believe-this-is-truly-happening-to-me tears when I first saw it. The cover truly does reflect the spirit of the book, and I hope that you love it as much as I do. He chose betrayal. She chooses vengeance. Thank you for taking the time to stop by my website! I hope to post regularly here on my blog (…er…we’ll see about that as I am not the best at blogging!) and share any news, fun things, as well as stories and some thoughts on publishing and writing! Just in case you didn’t know…THE QUEEN’S RISING is my debut young adult fantasy novel, scheduled to release Winter 2018 from HarperTeen. I’ve been writing for as long as I can remember, so having this opportunity is a dream come true. There are literally some moments I feel like I need to pinch myself, because it still feels surreal. I turned in my copy edits for TQR a few months ago, so I’m eagerly awaiting my first pass pages! (I might have been granted a little glimpse of a few pages yesterday and oh my stars–the interior of this book is absolutely lovely! It only makes me more excited to share it soon with you all!). I’ve also seen the map art (YES! There is an incredibly gorgeous map designed by Virginia Allyn!) and my final cover (which again…I pretty much burst into tears of happiness when I saw the first cover mock up months ago. So you can imagine my reaction to the beauty of the final cover!). All of this should be revealed soon! 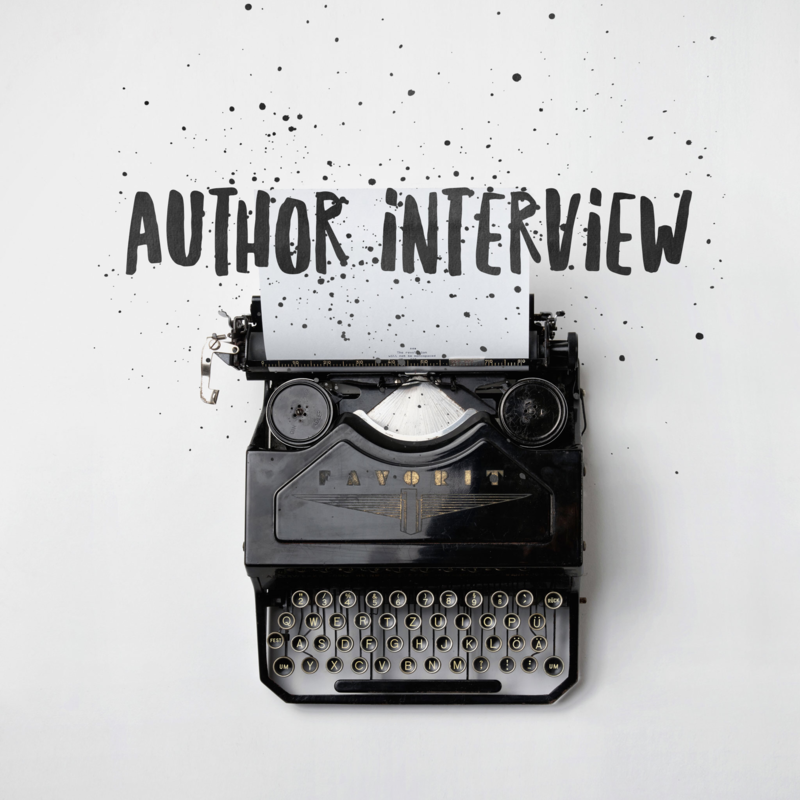 Q: What’s your book about? TQR is about a girl named Brienna who is trying to become a passion of knowledge. 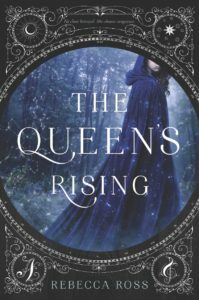 When she realizes she has inherited some crucial memories from her ancestor, she joins a secret revolution to overthrow a cruel king and put a queen back upon the throne. A: Yes 🙂 However, it’s a very slow burning romance, which means there is far more adventure than there is kissing. Q: Describe Brienna in three words. 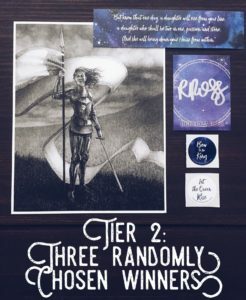 Q: What are some things that inspired you to write TQR? Finding family in unlikely places. Q: Where is you favorite place to write? I find that places like coffee shops, etc. are waaaaay too distracting for me! Q: How long did it take you to write TQR? A: 48 days! It was one of the can’t eat, can’t sleep, burning me up from within kind of stories. Literally, the story I had been waiting YEARS to write. I was working a full time job and my husband had just broken his ankle and had an intense recovery time. And yet this story would not let me rest. I spent every spare minute I could find on it: lunch breaks, late into the evenings, complete weekends. Sometimes, inspiration likes to find us when we are most stressed! 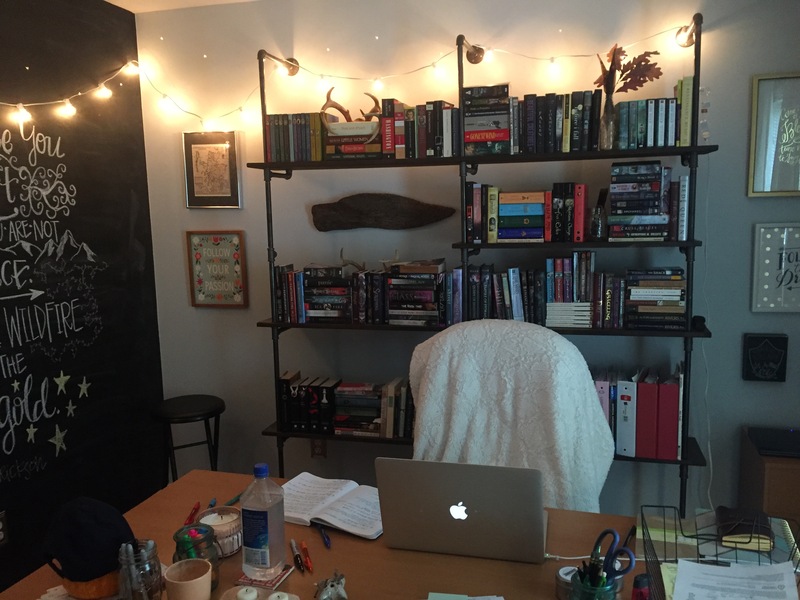 Q: How many books will be in this series? A: I sold three books to Harper…so a trilogy! Yay! Q: What sort of music do you listen to when you write?